Campaign for the American Reader: What is Margaret Duffy reading? 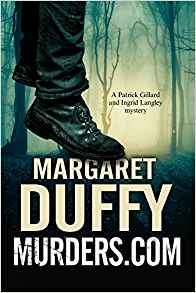 Featured at Writers Read: Margaret Duffy, author of Murders.com. I haven’t read any fiction for a while as the following are wonderful books in which it would be criminal not to to immerse oneself. 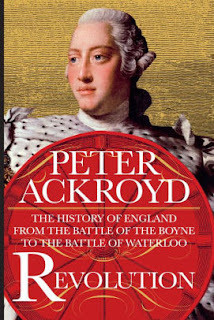 I have been reading Peter Ackroyd’s The History of England. Right now I am on Volume Four, Revolution. This deals with events from the end of the reign of James the Second to the abdication of Napoleon. At the time, and having fled to France following the invasion of William of Orange, James didn’t think it was all over for him but it was. He had been what childrens’ history books would call A Bad King. Patrick has a new desk job and seems to be out of harm's way ... but not for long. My Book, The Movie: Murders.com.